An Open Letter To Anyone Serious About Making Money Online: Underground Marketer Reveals How You Or Anyone Can Make Passive Profits From Googles Latest Invention! People offering help through Helpouts are called Providers. You can work as a company, a team or even an individual. You can pretty much offer your Helpout session on just about any topic - be it Cooking, Fashion, Business Advice, Tech stuff . . . as long as people are looking for it, you can be in business! So if you're a consultant, working from home, or heck just admit it... you're simply looking for ways to share your knowledge and get paid... Then this is your ticket! This is a consultation business so your time is a precious commodity. So you will want to make as much money as you can from your efforts while reducing the risks of dealing with unwanted, non-targeted clients. Video 01 - What Is Google Helpouts? 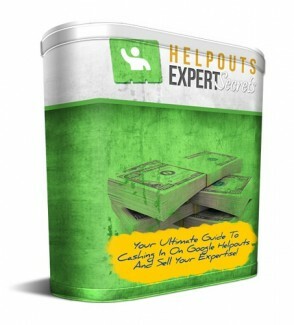 Video 12 - The Game Plan To Make Your Helpouts Business Profitable!